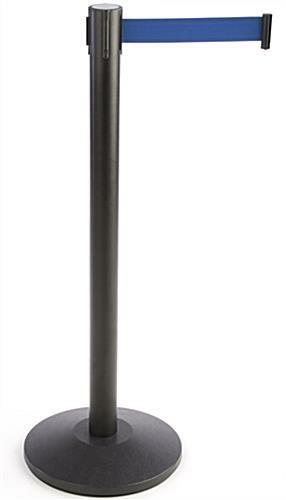 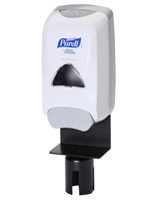 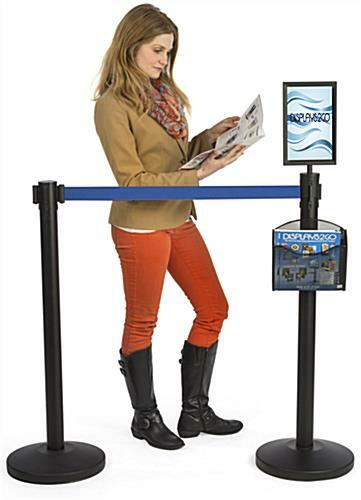 This stanchion with literature pocket & sign holder features a blue belt that is retractable. 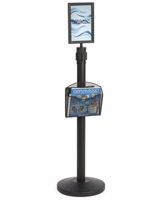 The rope extends up to 6.5 feet for customizable crowd control configurations. 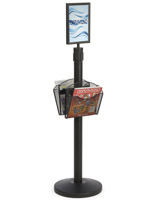 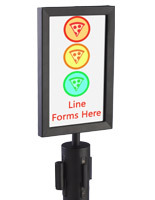 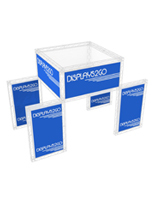 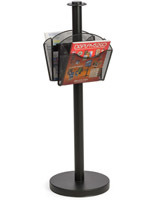 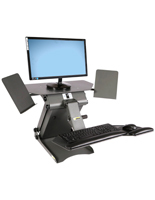 Each black stanchion comes with an attachment kit to hold magazines or brochures. 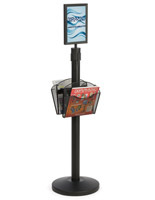 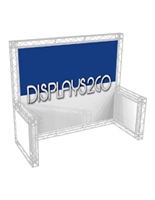 Great for advertising, the topper helps promote your company logo or general event information that attendees might need to know. 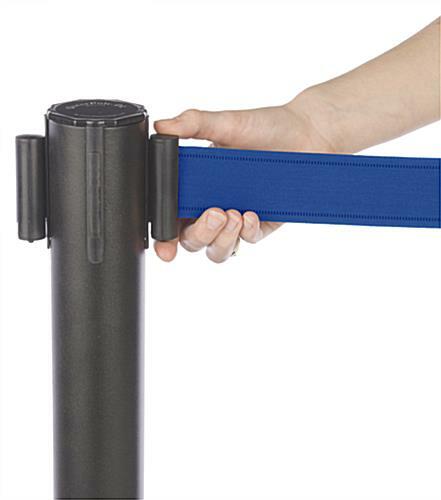 Ideal for crowd control and event organization, this stanchion has a quick-access retractable band paired with a weighted base for stability. 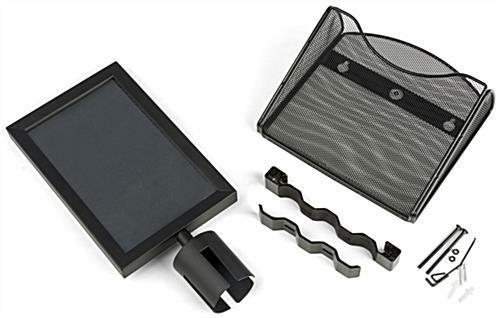 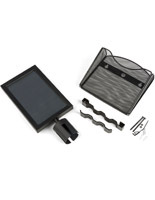 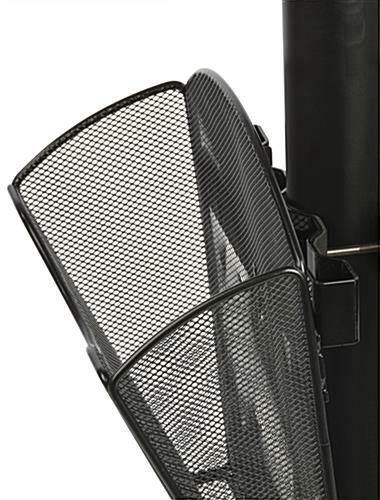 The attachment kit has a black finish to match the body of the pole for uniformity.